The closure has been in place since Sunday, but Island Roads have just issued the road closure notice. If you are planning to drive along to Seaview from Ryde be aware that Island Roads have just informed the press that Duver Road, Seaview is closed. The road closure went into force on Sunday 6th May due to emergency gas repairs. 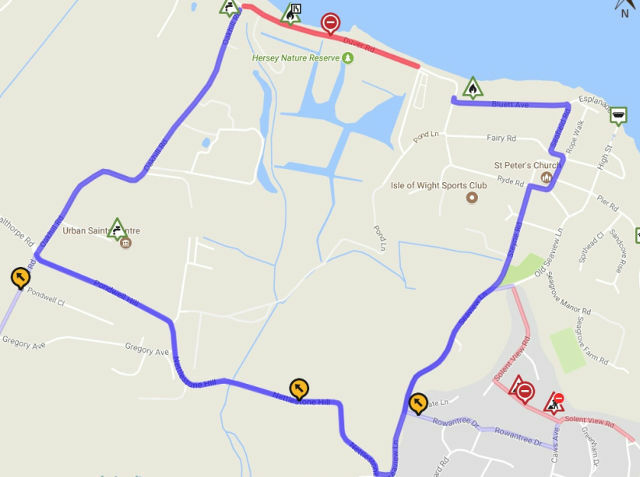 Island Roads say the diversion will affect Oakhill Road, Pondwell Hill, Nettlestone Hill, Seaview Lane, Steyne Road, Ryde Road, Church Street, Fairy Road, Seafield Road, Bluett Avenue and Salterns Road. They say reasonable facilities will be provided to allow access to adjacent premises while the road is closed.